Access control systems are very effective form of security. They are used to restrict entry to certain areas of a business to only those people that have the proper authorization. At 858 Locksmith we design, install, repair, and replace a wide range of access control systems for supermarkets, offices, government buildings, malls, condominium entrances, and a number of other types of commercial establishments throughout San Diego. The systems include everything from simple password controls to more advanced biometric systems. 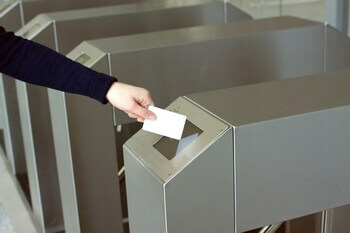 Access control systems offer a number of benefits. They reduce the need for manpower to control access to specific areas of a business or commercial property. They also enable businesses to more easily control access through multiple entrances and exits. The system can also help with internal levels of access and restriction and can employ time based controls to control access to particular areas of a business. We have been installing, repairing, and replacing those systems for years and can help businesses decide what type of access control device will work best for their needs. Our staff of highly trained locksmiths has experience installing, repairing, and replacing a wide range of access control devices. They include standard door locks, fingerprint locks, card readers, automated gates, electronic locking systems, and others. Our goal is to keep your staff, your assets, and your customers safe. We do this by ensuring the access control devices are functioning properly and suit the needs of your business. Whether the system you have or want utilizes electromagnetic locks and door strikes, card or pin readers, or a push button system, our staff has the experience, tools, and training to install, repair, or replace them. Our expert technicians are the best in the business. Each of them has received intensive training with a variety of access control systems and has a minimum of 5+ years experience. They know access control devices and systems well and can quickly identify any problems. All of our technicians are licensed bonded and insured and provide fast and friendly service. They know San Diego well. This enables them to guarantee a 30 min response time on all calls. Plus they are always on time, courteous, helpful, and professional and are willing and able to do whatever is necessary to ensure your commercial property is secure. We offer complete locksmith service. No matter the issue you’re having with your locks or other types of access control devices, we can handle it. We not only install and repair locks and other types of access control devices, we can also work with you to assess your commercial structure and offer advice on the right system for your unique situation. We provide businesses in San Diego, CA and surrounding communities with 24/7 locksmith service, the highest quality access control devices, up front pricing, and a guarantee that we will stand behind our work. Issues with access control systems can happen at any time. We’re always there when you need us. We’re a 24/7 locksmith service and have a staff of licensed bonded and insured mobile locksmiths that are always available to respond to your call when you need a commercial locksmith. We immediately dispatch an experienced commercial locksmith armed with the right tools, training, and equipment to get the job done properly. Plus our up front pricing means you’ll always know what the job will cost even before the technician begins their work. If you have a business in San Diego, CA and surrounding areas and need someone to install and repair access control systems in it, we’re the company to call. At 858 Locksmith we offer complete locksmith service done by expert technicians that each have 5+ years experience. Our mobile locksmiths offer fast and friendly 24/7 locksmith service, up front pricing, and guarantee a 30 min response time. 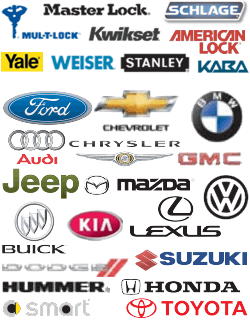 We’re known for fast, honest, dependable service, high quality work, and fair prices. Access control devices can be difficult to install, maintain, and repair. That’s why you need to call us. We have experience working with them and can help you to use them to protect your staff and your assets. Call us today. Access Control Systems https://858locksmith.com/access-control-systems/ 3.9/5 based upon 29 reviews.